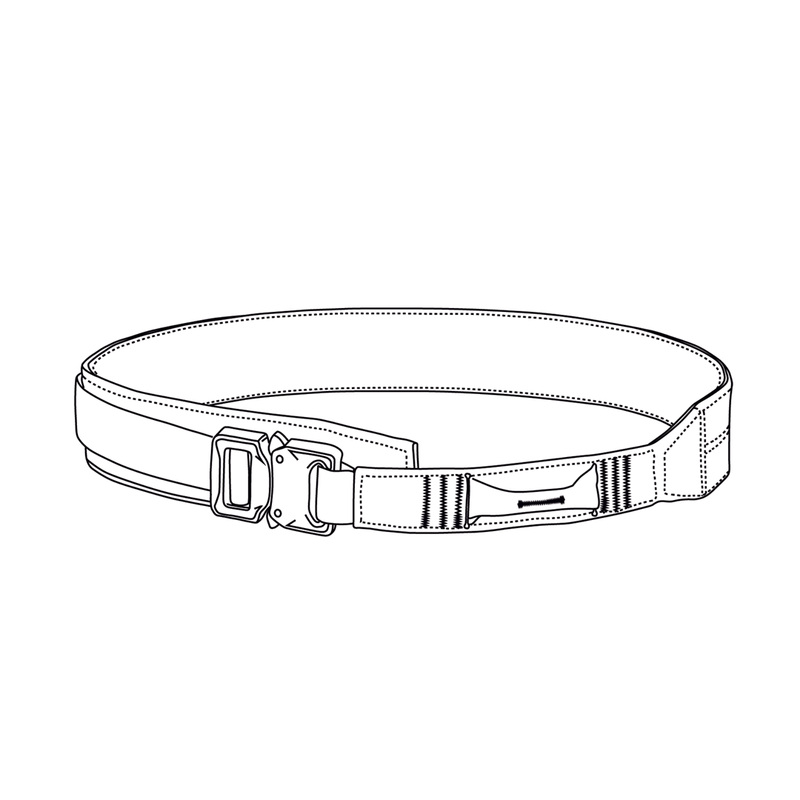 As sleek as its famous namesake, our MUSTANG tapered gun belt is lightweight, slim and rigid. It can be worn alone as a trouser belt, or as a duty belt in combination with the matching inner belt. As sleek as its famous namesake, our MUSTANG tapered gun belt is lightweight, slim and rigid. It can be worn alone as a trouser belt, or as a duty belt in combination with the matching inner belt, or together with the MOSQUITO modular belt sleeve. Size M : 36"-47" / Size L : 39"-43" / Size XL : 43"-47"